The most revered place for the Sikhs is Hemkund Sahib and Golden Temple Amritsar. The Hemkund Sahib is one of the holiest destinations in all of India. It is believed that Guru Gobind Singh had meditated in the Lokpal Lake, in which Hemkund Sahib is positioned. 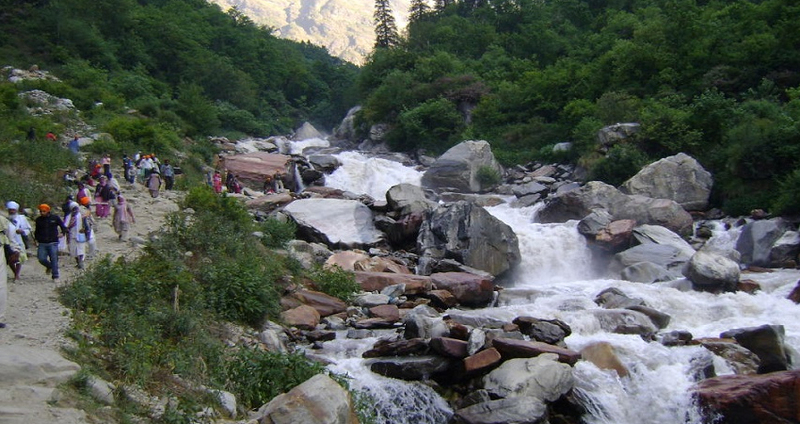 From next on, the Hemkund Sahib tour has turn into a main pilgrimage for devotees. The Lokpal Lake is a central tip of the Hemkund Sahib tour as it is believed that it has healing effects and helps recover health. Hemkund Sahib will only be 5 kilometers left from Ghangharia. 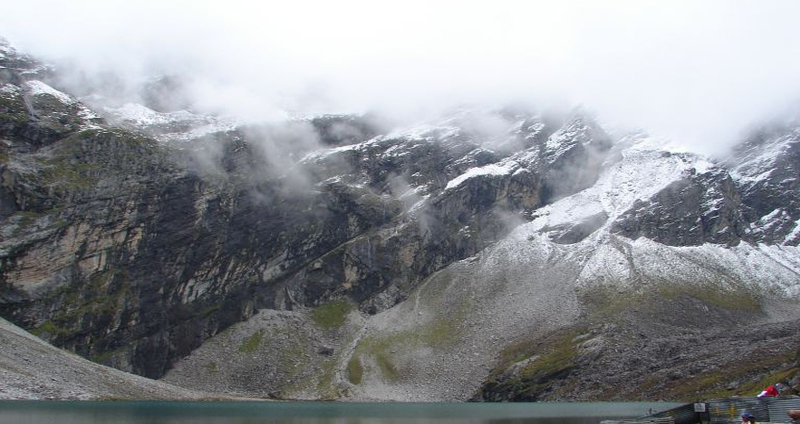 Hemkund Sahib generally experiences cold and wet seasons, tourists are recommend to do their pilgrimage at around June to September to take advantage of the fair weather when the atmosphere is cool. 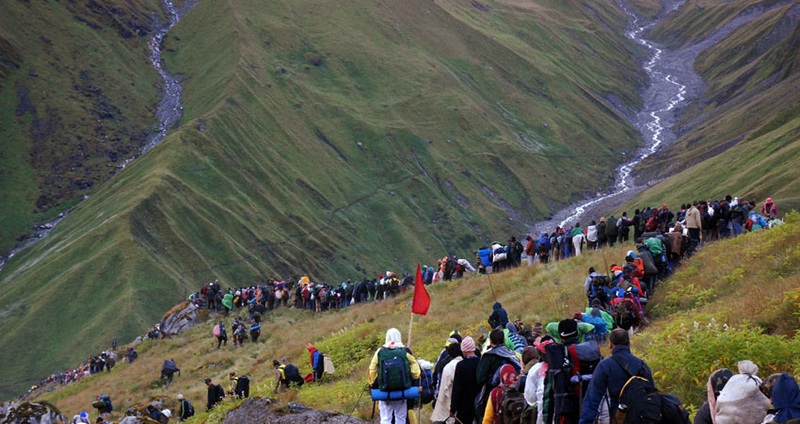 A Hemkund Sahib Yatra will bring you to one of the most respected holy destinations in India. 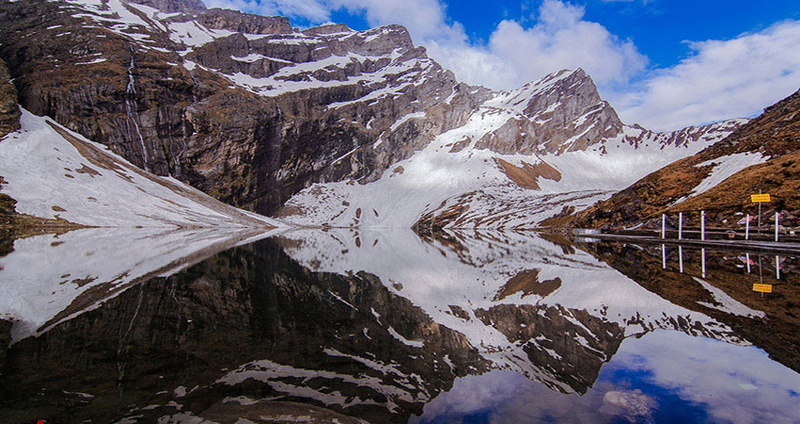 At a height of more than 4000 meters above the sea level, Hemkund is located on the border of Lokpal Lake. 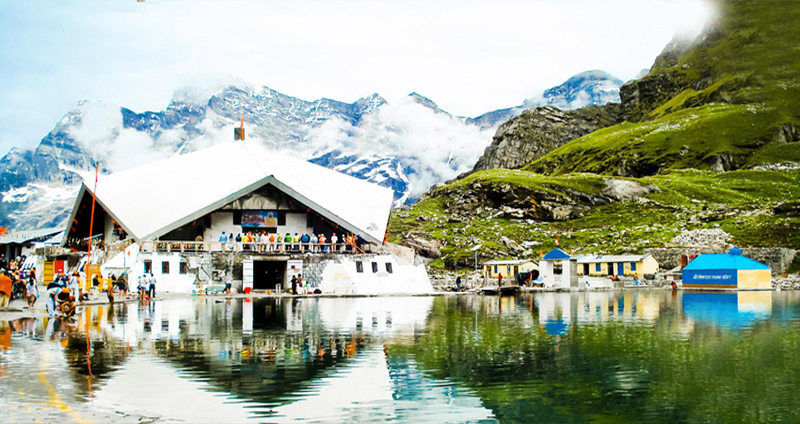 Once you enter at Hemkund Sahib, a dip in Lokpal Lake should not be missed because it is said that the crystal-clear water of this lake has a soothing and relaxing effect after the long trip. It also has a great meaning in history. Streams from the neighboring area encourage the lake, giving clean water continually. After you have taken a dip at Lokpal Lake, a quite time or meditation at the close to Lakshman Temple should full your entire experience of the Hemkund Sahib tour. This temple became the sanctuary of Lakshman and it has become one of the mainly pilgrimage location. Since this temple is a holy place, there are some rules and regulations that you have to hold to upon entering it. Some of these include leaving your footwear outside of the temple and using a covering for your head. On arrival at Delhi airport or railway station, meet our representative who will be there for your welcome and afterwards to drive you to Haridwar. On reaching, check in hotel in Haridwar. Afterward in the twilight, we will pay a visit to Mansa Devi temple to offer prayers. Also, we will attend Ganga aarti at Har Ki Pauri. Afterwards, we will come back to the hotel for overnight stay. In the daybreak after breakfast, we will check out from the hotel in Haridwar and drive to Pipalkoti through Rishikesh Devprayag, Rudraprayag and Karanprayag. Afterward in the sunset on reaching Pipalkoti, we will check in hotel and like a soothing overnight stay. After breakfast in the sunrise, we will go by road for Govindghat. On the way, we will stop at Joshimath to visit Adi Shankaracharya Math and Narsingh Mandir. Afterwards, we will go on our drive to Govindghat. On reaching, we will begin trekking from here to Ghangaria. Check in Guest House in Ghangaria for a relaxed overnight stay. After breakfast in the daybreak, we will begin trekking to Hemkund Sahib. On reaching, we will take a holy dip in Hemkund and afterwards go on for the darshan of Hemkund Sahib. Afterwards, we will trek return to Ghangaria and take pleasure of an overnight stay in the hotel. We will begin our day a bit early in the daybreak and trek down to Govindghat. Here, we will drive to Rudraprayag, through Joshimath, Chamoli and Karanprayag. On reaching, check in to the hotel for an overnight stay. In the daybreak after breakfast, we will drive to Rishikesh through Srinagar Garhwal. On the way, we will stop at Devprayag, the meeting of Alaknanda and Bhagirathi River to visit the meeting point. Afterwards, we will go on our drive to Rishikesh. On reaching, check in to the hotel for relaxing overnight stay.